When I was in KLU over Easter, I saw posters like the one pictured above pretty much at every street-corner. 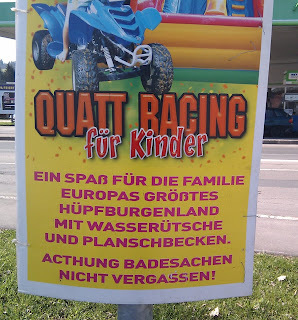 As many of them were also put up next to traffic lights, I had ample time to read them and realise that in that short a text, its author managed to produce 4 mistakes, starting with the interesting variation of "quad racing". 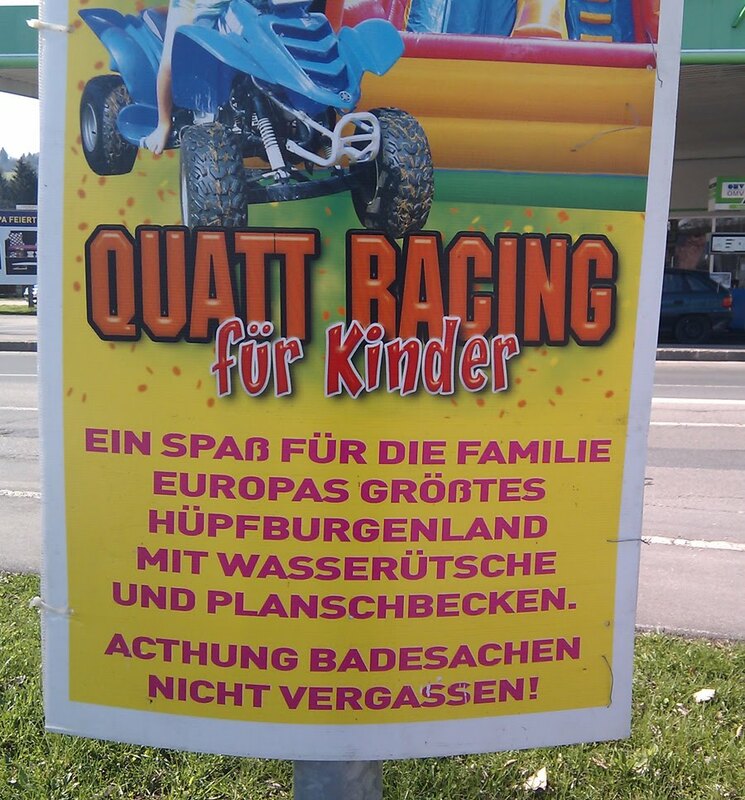 Despite the mock-Turkish sounding "Wasserrütsche" (water slide) with an "ü", something tells me that the event organisers are Italian.